Guang’an Chengxin was established in 2007 with registered capital of 50 million RMB. The Phase 1 factory plot covers 20 hectare, and Phase 2 secured another 32 hectare new land for further expansion. 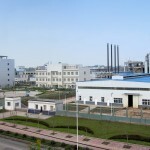 Currently Guang’an Chengxin employs more than 700 people and core products are hydroxyacetonitrile and its derivatives. Over the years, the company has been building strong connections between research and development, and between production and trading, both of which has significantly strengthened its speciality and competitively in producing fine chemical products. Located in Guang’an Economic and Technology Development Zone, the company is well connected to a number of neighbouring motorways. 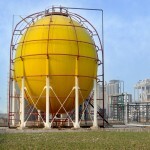 The abundant natural gas in Guang’an provides a substantial resource for company’s production. By promoting and implementing the comprehensive use of resources, Guang’an Chengxin has developed a broad range of upstream and downstream industry chain convergence products. While focusing on building a stronger and greater industrial enterprise, the company is committed to strengthen energy saving and emission reduction, enhance the environment protection, and implement the sustainable development strategies. Guang’an Chengxin is determined to continuously make great contribution to the whole society and to continuously be people well-trusted industrial exemplar. Intrinsic safety, environmental protection, are sustainable development are Chengxin’s management philosophy. The company continuously increases the investment in environmental protection, such as transformation of the hydrogen off-gas utilization, renovation of wastewater treatment centre, and several other environments management projects. We also demolished the older production facilities, and replaced by new equipment offering cleaner process for production. All of these efforts has paved a solid foundation for building up harmonious and wide open development environment. 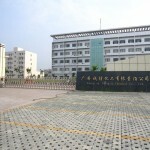 While providing the high quality products to the society, Chengxin always fulfils the responsibility for reducing the adverse impact on human health and environment, work s effectively to achieve the positive interaction between resource conservation, environment management and economic benefits, and eventually contributes to sustainable development of the whole society.